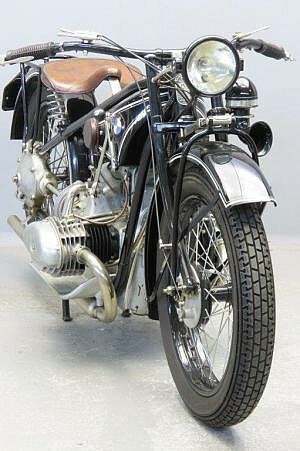 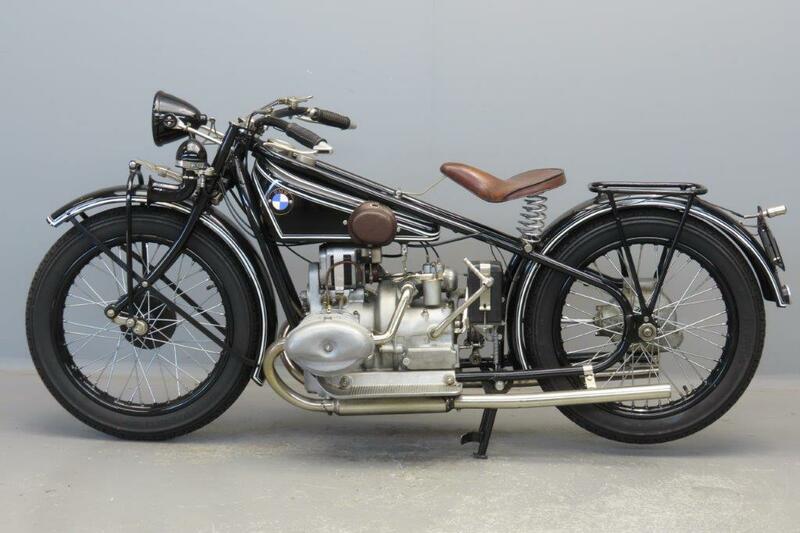 The first BMW, the 500 cc side valve tourer R 32, was marketed in 1923. 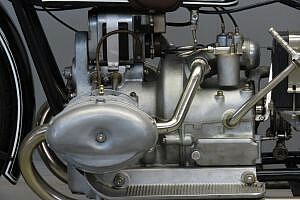 Two years later an OHV sports version was brought out, the R 37. 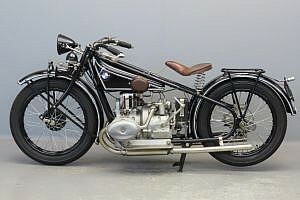 This machine had the smallest production run of all commercially produced models in the company’s motorcycling history: only 175 were produced. 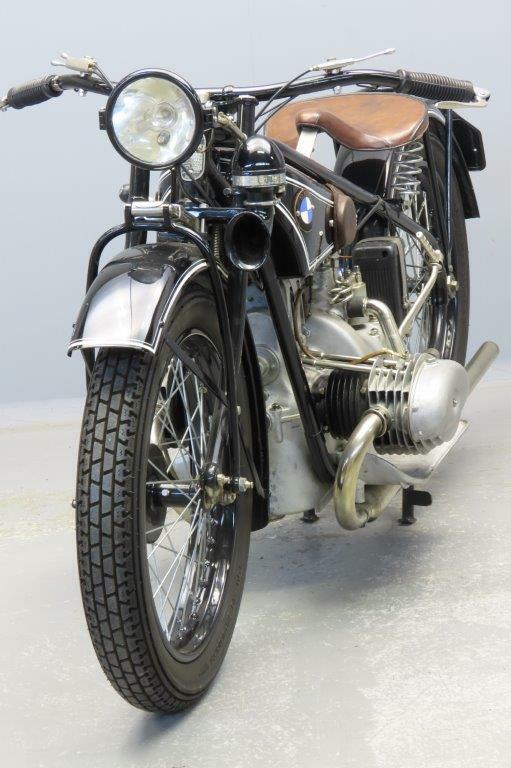 It was replaced by the improved R 47 that was introduced alongside the sidevalve-engined R42 tourer, both models benefiting from a redesigned and more powerful engine. 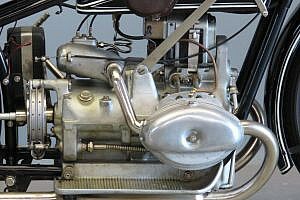 The engine was set further back in the duplex loop frame, which improved weight distribution and enabled straight front down-tubes to be used. 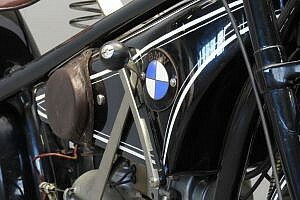 The braking got its share of attention too: the old block-and-pulley type rear brake was replaced by a drum on the driveshaft gripped by external contracting bands. Electric lighting was still regarded as an ‘extra’ and would not be standardized until 1928. 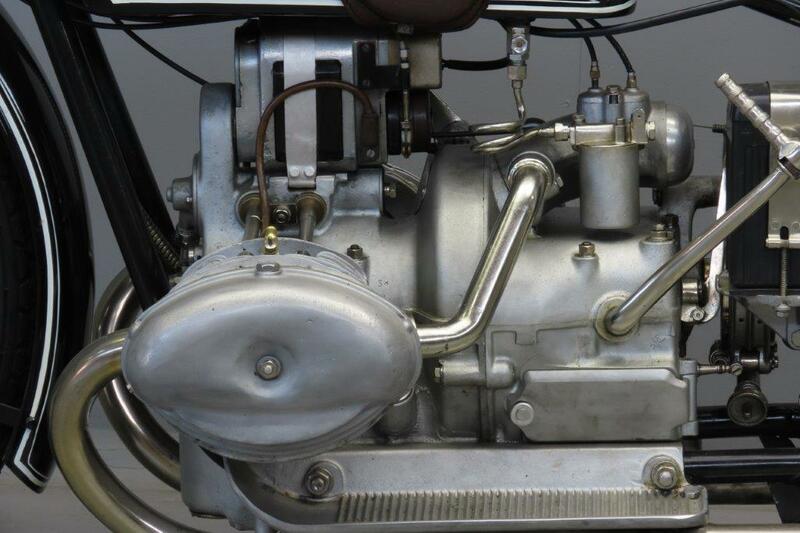 Maximum power output of the R47 was 18bhp @ 4000 rpm and its top speed was 110 km/h. The machine weighed 130 kgs and production lasted for just two years, 1,720 machines being sold. 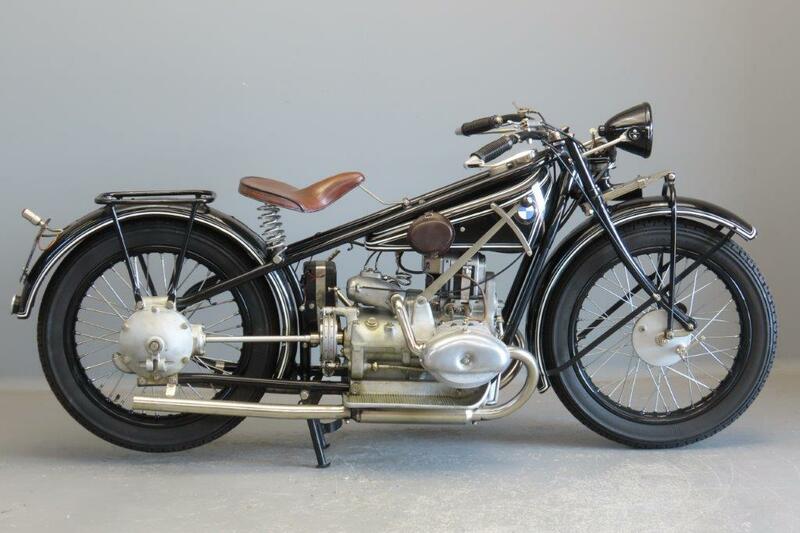 This rare sports BMW has been carefully restored.